The list of advertisers that have abandoned Ann Coulter’s website is growing at a steady rate. Net Bank, Verizon, Washington Mutual, AT&T/Cingular, Dollar Rent-A-Car, SmileTrain.org, University of Phoenix, Sallie Mae, LasikPlus, Power Chord Academy, Gulf Shores.com/Alabama Gulf Coast Convention and Visitors Bureau, Ulta.com, and Yellow Pages.com have all abandoned the right-wing pundit’s site following her hateful remarks at the CPAC conference, according to Daily Kos. Michigan Liberal reports that the Oakland Press also says they’ll no longer carry Coulter’s column. 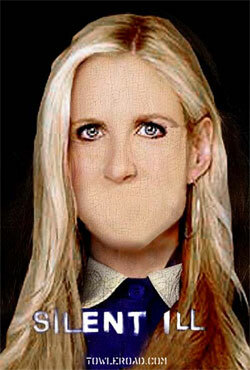 The Human Rights Campaign finally piled on yesterday, calling on folks to “remove Ann Coulter from public discourse” by contacting Universal Press Syndicate, the world’s largest independent newspaper syndicate. They’ve provided a handy webpage to do just that.